PEA (Phenylethylamine): Effective for Memory Loss or Brain Power? PEA is an abbreviation for a natural occurring chemical, Phenylethylamine. PEA is found commonly in products like chocolate and algae. 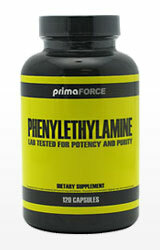 D-Phenylalanine is made in the laboratory to imitate L Phenylalanine which is a natural amino acid found in the body. D- Phenylalanine is used to suppress chronic pain. Since PEA is associated with L Phenylalanine that is made by the body from eating a wide variety of natural foods and is essential to regulating the brain, many people see PEA as being connected with influencing brain chemistry. And, since PEA from chocolate is rapidly acted upon by the digestive system, pharmaceutical companies have produced PEA in capsule form to send the protein directly to the brain and not to the digestive system. PEA whose chemical composition is Phenyl Ethyl Amine is a monamine or neuromodulator and is connected to the brain chemistry Dopamine needed by the brain to function. If on a proper diet, the brain produces a small amount of PEA. The interest in PEA is in its chemical composition that is similar to other compounds known for their effects on stimulating the brain's power and improving mood. It has been shown, though, that even taken as a pill, the amino protein is decomposed by the enzyme MAO-B in a matter of hours making the stimulating effects of PEA short term. It might only last for a few hours but the effects are fast and effective. PEA has several neurochemical effects since a small amount of PEA is made naturally by the body to act as a neuromodulator. It serves to help the brain to stay alert and to balance a person's mood. The chemical composition has been associated with other synthetically made pharmaceuticals used for depression since they boost dopamine essentially in keeping mood balanced. PEA could keep you alert much like chocolate and coffee but they would have little effect in turning you into a mental powerhouse of unstored knowledge. Is PEA an effective memory loss or brain power ingredient?